Power CD to MP3 Maker Guide - Convert audio CD tracks to audio format MP3, WAV, WMA and OGG. It copies the audio digitally with excellent output quality and high speed. Audio MP3 WAV WMA OGG Converter Guide - Convert Audio Files MP3, WAV, WMA, OGG from one format to another directly and quickly (no temporary files produced). Power MP3 Cutter Joiner Guide - It builds audio cutter and audio joiner in one program. Support MP3, WAV, WMA and OGG cutting/joining. 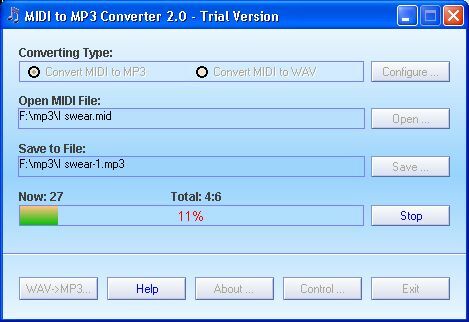 MIDI to MP3 Converter Guide - It is designed to convert MIDI to MP3, convert MIDI to WAV. A built-in WAV to MP3 Converter included, so it can also convert WAV to MP3. i-Sound WMA/MP3 Recorder Pro Guide - Record sound from internal or external sources into MP3, OGG, WMA, WAV, APE format files directly without costing any other disk space. Easy CD Ripper Guide - It extracts audio CD tracks to audio formats MP3, WAV, WMA, VQF, OGG, APE with excellent output quality and high ripping speed. MP3Coder Guides - A powerful full-featured WAV-to-MP3 encoder. And it is a convenient ID3v1 tag and filename editor. M4A to MP3 Converter Guides - Convert M4A to MP3, MP4 to MP3, M4P to MP3. M4A to MP3 Converter can also convert M4A, AAC, MOV, MPEG-2, MPEG-1, WMV, WMA, OGG, WAV, 3GP, etc. to MP3 files. Audio Conversion Wizard Guides - Support batch and single convert, and it can convert WMA, MP3, OGG Vorbis, FLAC (Lossless audio format), WAV PCM, APE (Monkeys audio format)...audio formats. Protected Music Converter Guides - Support convert wma, m4p, m4b, m4a, mpeg, mpg, mpv, mpa, 3gp, 3gpp, m4v, swa, asf, asx, wm, wmx, wmd, wmz, mp3, wax, ogg, wav, aac and etc. Acoustica MP3 To Wave Converter PLUS Guides - Acoustica MP3 To Wave Converter PLUS automatically converts MP3 & WMA files into CD compatible WAV files! Mini-stream Ripper Guide - A music converter and stream ripper which will cut the traditional steps into half. With this program you just need 2 steps to rip your favorite musics from your computer or on the internet. Power CD to MP3 Maker Guides - Convert audio CD tracks to audio format MP3, WAV, WMA and OGG. It copies the audio digitally with excellent output quality and high speed. CD to MP3 Ripper Guides - Rip CD to MP3, WAV, WMA, VQF and OGG. Convert Mp3, WAV, WMA and OGG Vorbis from one to another. Resample MP3, WAV, WMA, OGG Vorbis. 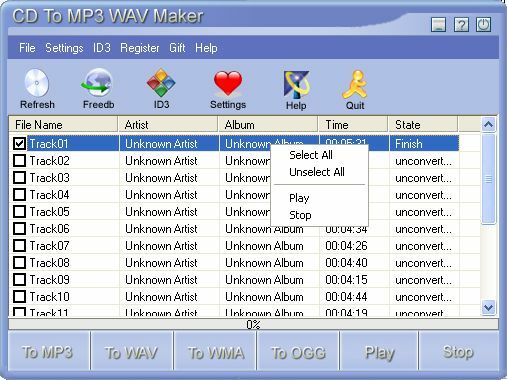 CD To MP3 WAV Maker Guides - Convert your audio CD to MP3, WAV, WMA and OGG files. Copy the audio digitally which enables you to make perfect copies of the originals. Easy CD Ripper Guides - It extracts audio CD tracks to audio formats MP3, WAV, WMA, VQF, OGG, APE with excellent output quality and high ripping speed. 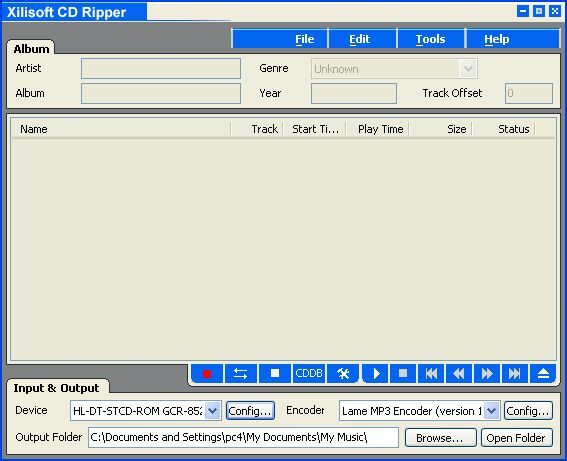 Cool CD Ripper Guides - It is an extremely easy-to-use program that can rip audio CD tracks and save them into audio formats MP3, WAV, WMA, and OGG Vorbis on-the-fly. 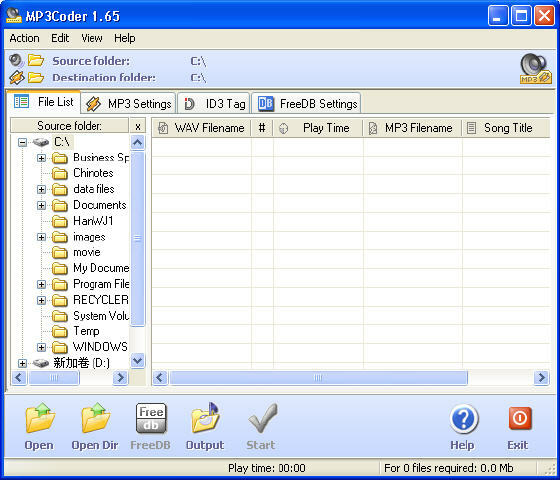 CD to MP3 Maker Guides - CD to MP3 Maker is an extremely easy to use CD ripper, MP3 to WAV decoder and WAV to MP3 encoder. Xilisoft CD Ripper Guides - It can easily convert your audio CD to MP3, WAV, WMA, OGG, Mp2, VQF, APE files with high quality. Acoustica MP3 CD Burner Guides - Not only will it burn your music in the order you want it, but it will let you edit each song to get rid of silence. Ease MP3 CD Burner Guides - Ease MP3 CD Burner can directly burn WAV, MP3, OGG or WMA files to Audio CD format for normal CD player access. Ultra MP3 to CD Burner Guides - With this burning program you can create high-quality audio CDs which is playable on your CD stereo. MP3 CD Converter Guides - A CD-burning application that can create conventional Audio CD from your MP3 files. Spin It Again Guides - It can record your old cassettes and records to digital records, it will also clean your recordings by getting rid of click and pop record noise. MP3 CD Maker Guide - Create normal audio CD from your favorite MP3 files, no temporary WAV files involved, and play them in your regular stereo or car CD player. Mp3 to CD Burner Pro Guide - Burn custom music CDs from MP3s, WAVs or existing play lists (M3U, PLS), let you listen to your favorite MP3 songs on regular stereo and car CD players! Quick-Burn Guide - Write Audio CD's from WAV and MP3 files, drag and drop the files you want to burn, no need to convert MP3 to your harddisk first, Quick-Burn directly writes MP3 files to Audio CDs. Smart Audio Burner Guide - It allows you to create your own custom music CDs that can be played in any standard home or car stereo. Your source files can be MP3, WMA, OGG or WAV. Xilisoft Audio Converter Guide - Convert between all of the popular audio formats, such as M4A to MP3, MP4 to MP3, it also supports audio formats including WAV, WMA, MP2, VQF, APE, OGG, AAC and FLAC. EZ MP3 WAV Converter Guide - EZ MP3 Wav Converter is specifically designed to decode MP3 files to WAV files and encode wav files to MP3 files. Cucusoft All Audio/Video to MP3 Converter Guide - Cucusoft All Audio/Video to MP3 / WAV Converter is a powerful MP3/WAV creator from almost all kinds of windows Audio and Video media files. Audio Editor Pro Guide - To perform various operations with audio data such as displaying a waveform image of an audio file, filtering, applying various audio effects, format conversion. Audio editor / sound recorder Guide - Edit MP3, WAV files; create WAV files from tapes, vinyl, microphone, mixing deck, etc. ; decode MP3 files to WAV. FlexiMusic Orchestra Mar2004 Guide - FlexiMusic Orchestra assigns small pieces of music beat to each key/button of all the Input Devices and plays it as orchestra or musical instrument. KaraWin Pro Guide - KaraWin is a Karaoke Midi MP3 CDG AVI player. Two main part: the explorer and juke box part. Explore your hard disk, and create your own jukebox list. Crystal MP3 Splitter Guide - Crystal MP3 Splitter is an easy-to-use MP3 editor that can greatly improve your efficiency. It allows you to split a large file into multiple small pieces. Easy MP3 Splitter Guide - Easy MP3 Splitter is a Powerful software for splitting MP3 files into smaller ones. It is a easy tool for creating one or more sections of large MP3 files. MEDA MP3 Splitter Guide - MEDA MP3 Splitter allows you to split MP3 files into smaller pieces MP3 of either equal or custom size. It also includes a MP3 merger tool, and can convert MP3 to WAV format. MP3 Cutter Joiner Guide - MP3 Cutter Joiner is an audio tool which builds audio cutter and joiner into one. It Supports MP3, WAV, WMA and OGG format. 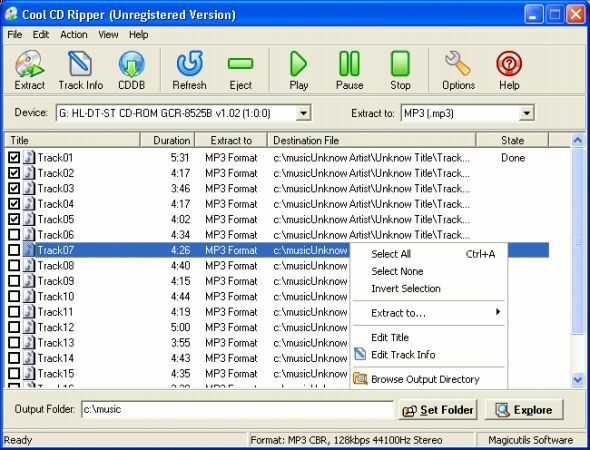 AOK MP3 Organizer Guide - AOK MP3 Organizer is a windows MP3 Organizer and MP3 Player software designed for music fans. It designed to help people in their everyday repetitive tasks. Abee MP3 Duplicates Finder Guide - Abee MP3 Duplicates Finder is designed to manage all your MP3 files that remove all MP3 duplicates on your computer when it find. Advanced MP3 Catalog Pro Guide - It is a fast and compact Windows application that makes it easy to remember where you've stored your music files, play them, and even print detailed CD covers. Advanced MP3 Manager Guide - It is an MP3 audio file manager and playlist organizer. And it can automatically scanning your hard drive and organizing the files by artist, album and genre. 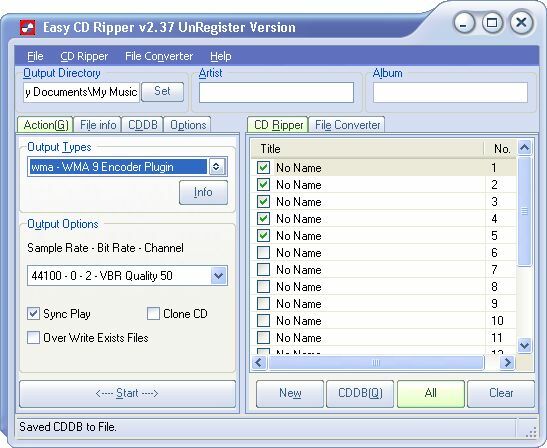 Alive CD Ripper Guide - It can convert your favorite CD tracks to MP3, WAV, WMA, OGG files. It also allows you to Edit ID3 tag of MP3 file, Query CD Information from CDDB. Crystal CD Ripper Guide - Crystal CD Ripper is an extremely easy and fast-speed tool to convert your audio CD to MP3, WAV, WMA and OGG files. It copies the audio digitally not through the sound card. Charm Dvd To Real Converter Guide - Charm Dvd To Real Converter is a super tool for ripping VCD and DVD to Real Media files, edit RM file's property. It supports batch conversion. Charm Real Converter Guide - Charm Real Converter is easy to use and it have a user-friendly interface. It can convert nearly all the audio files to RM files. And you can eidt the music information with it. Any Sound Recorder Guide - It can record sound from microphone, the line-in jack, internet streaming audio, or music played by Winamp, Windows Media Player, Quick Time, Real Player, Flash, etc. EzPhone Recorder Pro Guide - It is full-featured telephone recording software that runs on your Microsoft Windows platform and uses your voice modem to record both incoming and outgoing telephone calls. 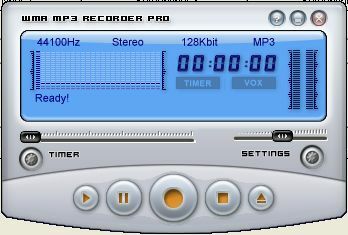 123 Sound Recorder Guide - 123 Sound Recorder can record the voice from microphone, music cassette, CD, LP, game, etc or the music from Windows Media Player, Winamp. Aye Text to MP3 Guide - Lets you listen to text instead of reading on screen! It uses 'Text to Speech' technology to synthesize natural sounding speech from ordinary text. Text_Speech Pro Guide - The software can read your books, documents, emails, etc. with a choice of natural human voices. And it can easily convert documents to speech audio files. Music Tag Editor Guide - A simple-to-use program that allows you to change "tagged" information about your MP3/WMA music files. Tagged information can be filled in automatically. RipCast Streaming Audio Ripper Guide - A new way to let you download and listen to MP3's at the same time, build and organize your MP3 collection, base on SHOUTcast, a streaming audio technology. AV Music Morpher Guide - A creative one-stop audio editor software for both the most inexperienced and Pros, including Voice morpher, voice pitch and timbre, Tempo morpher, Beat tracking etc. ALO RM to MP3 Converter Guide - A professional conversion tools for convert RM, RA, RAM, RMVB, RMJ, WAV, MP3, WMA, OGG to WAV, MP3, OGG, WMA formats. TUNEBITE DRM FREE MUSIC & VIDEOCLIPS Guide - Record copy-protected music, audio books and video clips in WMA, M4P, AAC, M4B and MP4 formats, with Multiple-Speed and Digital Quality recording tool. WinJukebox Guide - This software allows you to manage your collection of music files, print out a menu and run a full-screen jukebox emulator and so on. MP3Producer Guide - Convert your audio CD collection to a variety of the most popular compressed audio formats such as MP3, WAV, OGG, WMA with the excellent output quality. Radiotracker Platinum 2 Guide - Wish yourself the music you want, and let Radiotracker automatically download all of it totally legal and totally free. Fast RM to MP3 Converter Guide - An audio conversion tool that allows you to convert RM, RA, RAM, RMVB, RMJ to WAV, MP3, OGG, APE or WMA format, and extract audio from RealVideo files. Speak Aloud Guide - Convert text to wav, mp3, wma, ogg, vox, au and aiff format, Support batch conversion and support reading hightlight. Complex Evolution Guide - Burn data, audio, video files in 2 clicks, simply select necessary files, add them to the required project and click "Burn" button.